For open bar drinks, please feel free to access any of the open bars. Bottle Service Gratuity ($40.00 per bottle) is a mandatory charge; paid to the venue on the night of the event. It is NOT included in the package price. VIP Priority Admission on a separate VIP line tables will be sat in bar area of the venue. 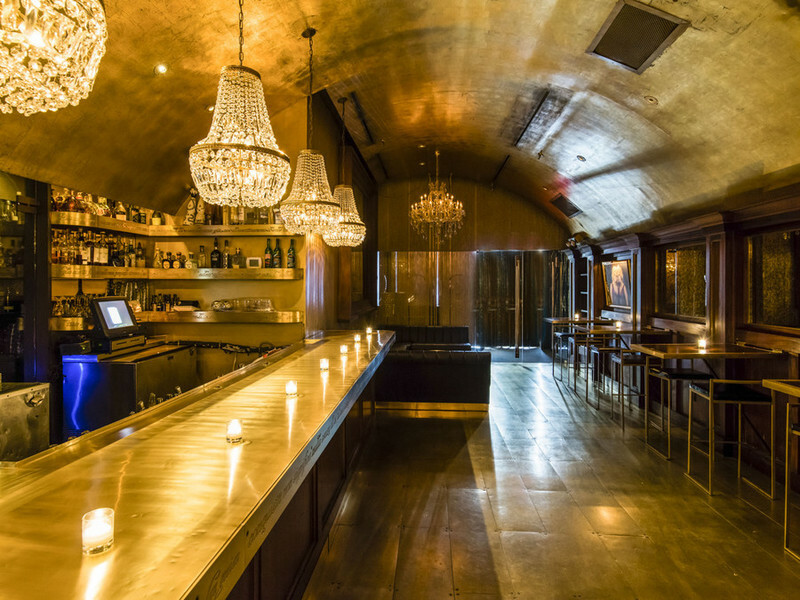 All that glitters is gold this New Year’s Eve at GoldBar—an opulent, awe-inspiring Soho lounge and club that sets the gold standard for New York City nightlife this New Year’s Eve. 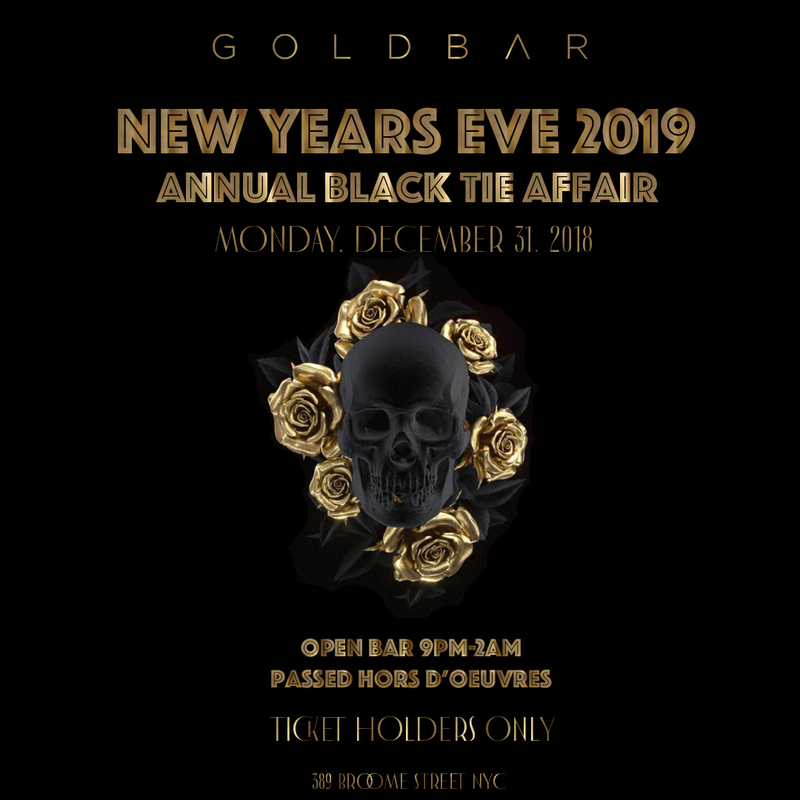 You've got the Midas touch on NYE when you ring in the New Year at Goldbar’s intimate and exclusive New Year’s Eve party amongst a glamorous crowd of ritzy New York City revelers. 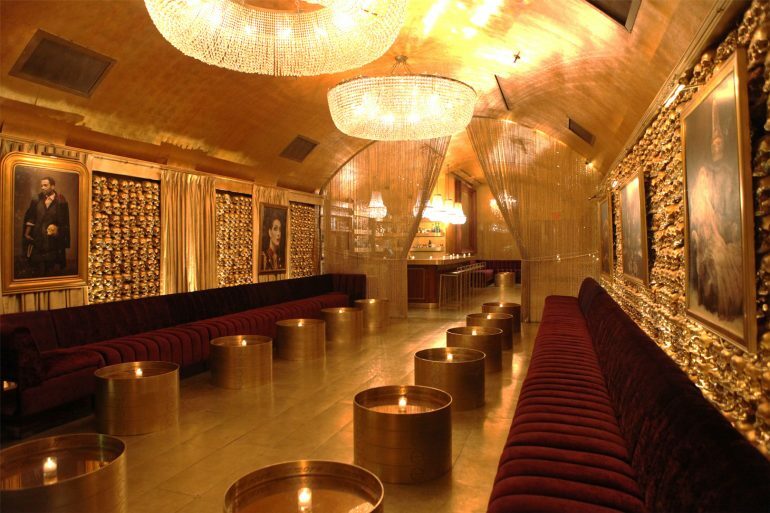 You will be dazzled as you walk into this gold-plated room this New Year's Eve at New York City's GoldBar. 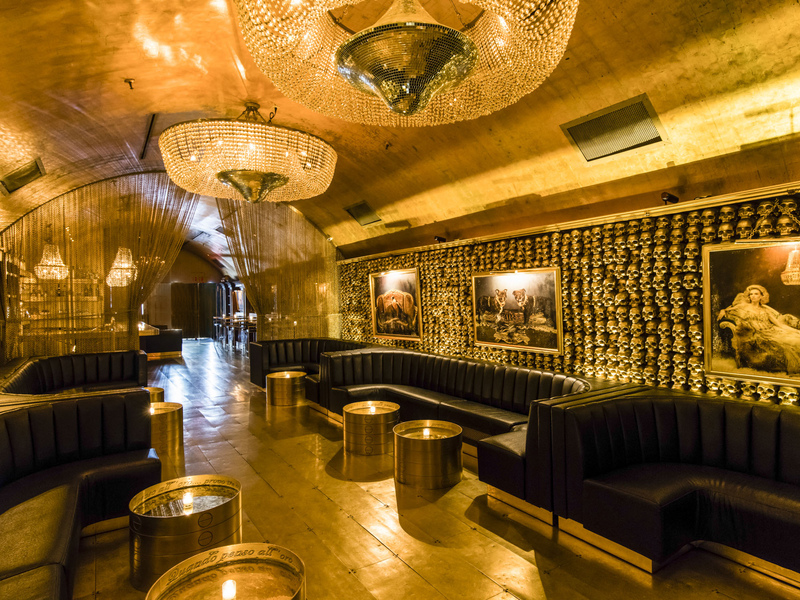 This lavish club venue is just the spot to celebrate a 24 karat New Year’s Eve. 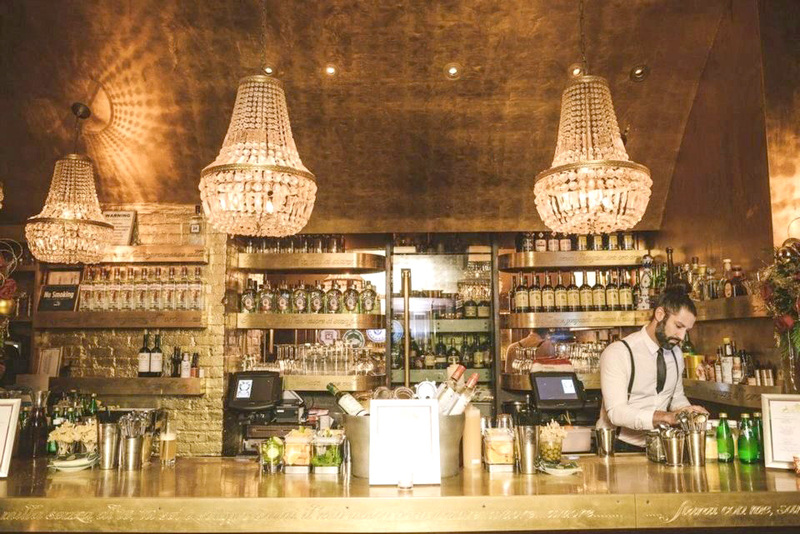 Sip your favorite NYE cocktails all evening long at GoldBar’s five hour premium open bar and sample some early evening lite fare provided courtesy of GoldBar. Dance the night away as a live DJ mixes the hottest Dance, Hip Hop and Top 40 beats. GoldBar will be popping champagne when the evening draws nearer to midnight, and each guest will receive a complimentary glass just in time for the midnight countdown. For the esteemed guests who like the gold member treatment, spring for the VIP extras, which come with VIP seating, Table and Bottle Service, and for the couples out there, indulge in the Couples VIP Table for Two. 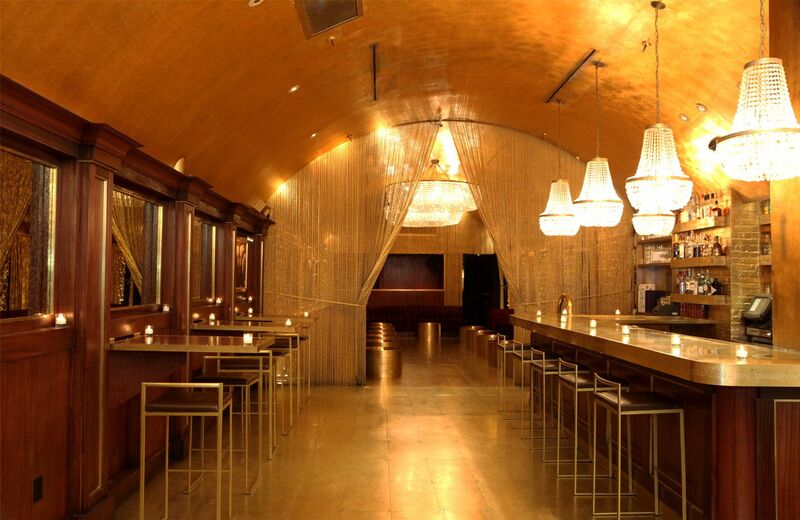 GoldBar, located in the heart of Soho, sets a scene for party-goers who delight in pure decadence. When you pass through the draping gold-chain curtains, look up and admire 12 foot high gilded ceilings and admire the way the gorgeous crystal chandeliers catch the light and scatter metallic reflections throughout the rooms. 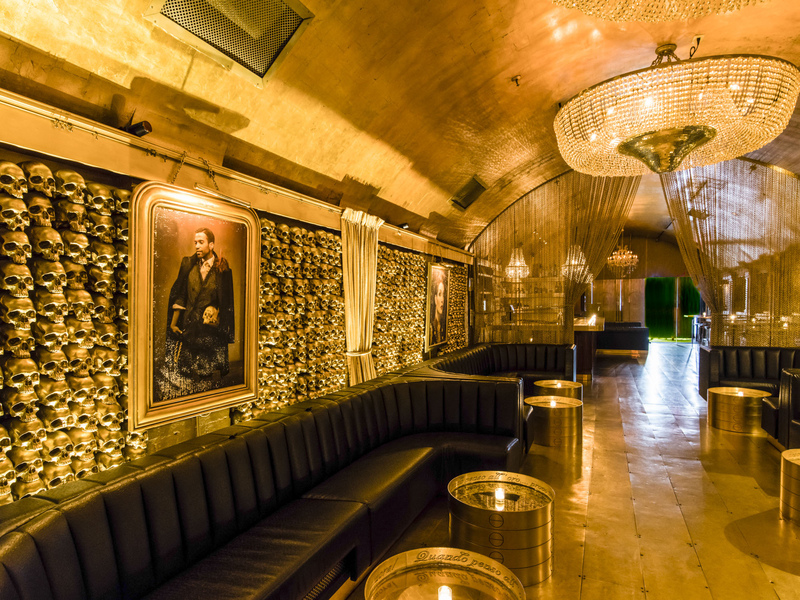 Relax on plush red velvet couches that line the gilded skull-adorned walls or take a seat at the bar that keeps true to the venue name—the bar is solid gold. 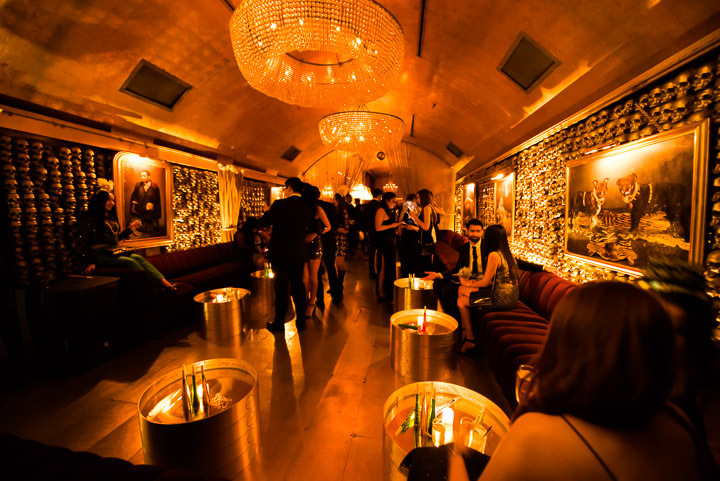 GoldBar is a deluxe event venue known not only for its nightlife success, but also for playing host to fashion shows, photo shoots, film screenings and charity events. 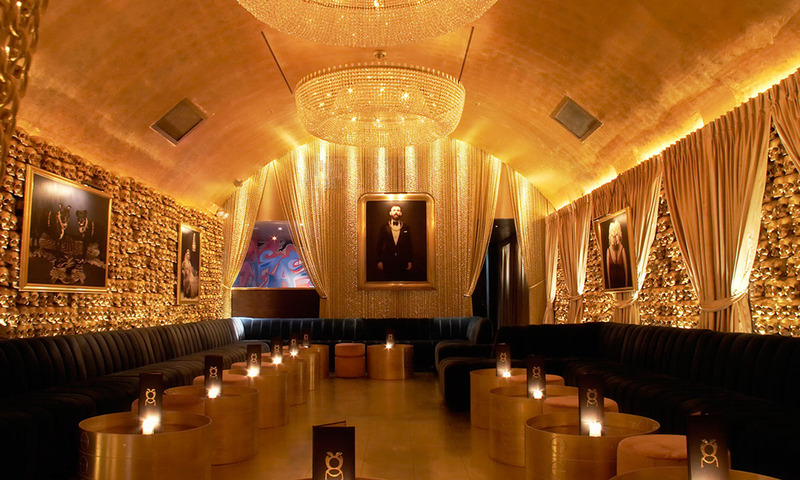 GoldBar is the ultimate New York City go-to that can make any party guest feel like a king. This New Year's Eve at GoldBar, all you touch will turn to gold. Join the sparkling, sophisticated New York crowd inside this New York City mainstay for the ultimate party of the year. Charcuterie, crudités, pigs in blanket, crostini & similar items.